African American History Month — Throughout the history of UNC Charlotte’s English Department, various members of our department have taught courses and conducted scholarship on African American literature and culture, but there are two retired faculty members who played especially important roles in this part of our department’s history: Mary Harper and Sandra Govan. Given that February is African American History Month, I have decided to make note of their lasting contributions to our department in today’s Monday Missive. Sandra (Sandy) Govan joined the English Department in 1983, and she taught in the department until her retirement in 2009. During her career as an English professor, she broadened the range of courses taught on African American literature, and she expanded the types of works taught in these courses. For example, she regularly taught works of science fiction by African American authors, such Octavia Butler. She also developed our graduate courses in African American literature, and she served as the the Ronald E. McNair Post-Baccalaureate Achievement ProgramCoordinator. Throughout her career, however, she remain committed to teaching undergraduate students. Her excellent record in the area of undergraduate teaching was recognized in 2001 when she was named a finalist for the Bank of America Award for Teaching Excellence. The leadership of Mary Harper and Sandra Govan prepared the way for other English faculty members to teach courses in African American literature and culture. These faculty members include Malin Pereira, Jeffrey Leak, and Janaka Lewis. In a very real sense, the history of our English Department and African American History Month are interconnected stories. Bryn Chancellor published a short story, “The Moon, the Pyramids, the World,” in NELLE, a literary journal published through the University of Alabama at Birmingham. February 8 — The English Department meeting will take place from 11-12:30, in the conference room (Fretwell 280C). Quirky Quiz Question — Sandy Govan is widely recognized as a leading authority on the works of the science fiction author Octavia Butler. Butler was the first science fiction writer to receive the prestigious fellowship that is unofficially known as the “Genius Grant.” What is the official name of this fellowship? The keynote speaker at this year’s EGSA conference is a professor from UNC Charlotte’s Global Studies Department. Our department also has another ongoing connection with the Global Studies Department. A member of our department regularly teaches a course that is cross listed with Global Studies. Who teaches this course? Agency and the EGSA Conference — Toward the beginning of last semester, my coffee cup and I wandered into the faculty/staff lounge in search of coffee, for a coffee cup without coffee is about as bad as a bookshelf without books. Anyway, there I ran into the officers of the English Graduate Student Association (EGSA) all huddled around a table. I asked what they were up to, and Sara Eudy, the president of the EGSA, informed me that they were discussing possible themes for their upcoming conference. I chatted with them for a few minutes about their plans for the conference, and then my replenished coffee cup and I wandered back into my office. At the time, I was not sure what conference theme they would settle upon, but I was very pleased to see them making the decision on their own. In the end, they came up with the following theme: “A World of Difference: Re-Imagining the Global in the 21st Century.” Over the course of last semester and into the beginning of the current semester, the members of the EGSA have been diligently organizing their annual conference, and they are now ready to go. 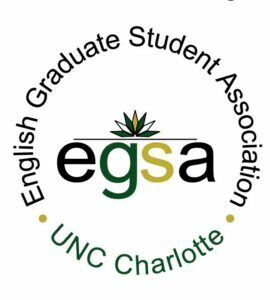 This year’s EGSA conference will take place on Friday, February 1, from 9:00 a.m. to 3:45 p.m. in UNC Charlotte’s Popp Martin Student Union. The conference will feature thirty presentations in addition to the keynote address by Emek Ergun from UNC Charlotte’s Department of Global Studies. The presenters represent twelve different universities from across the southeast. The EGSA conference promises to be an informative and thought-provoking event, and I urge everyone to attend for at least part of the day. Over the past nineteen years, the members of the EGSA have taken on the challenge of organizing their annual conference. They usually feel a bit intimidated at the beginning of the planning process, they always rise to the occasion. They often consult with members of the faculty and staff of the English Department during the planning stages, but they make their own decisions and take responsibility for solving the logistical problems inherent in running a day-long conference. For these graduate students, the experience of organizing this conference involves claiming and exercising agency. February 1 — The 2018 Faculty Recognition Event will take place on February 1, 2019, from 3:30 to 5:00 pm in the Harris Alumni Center. 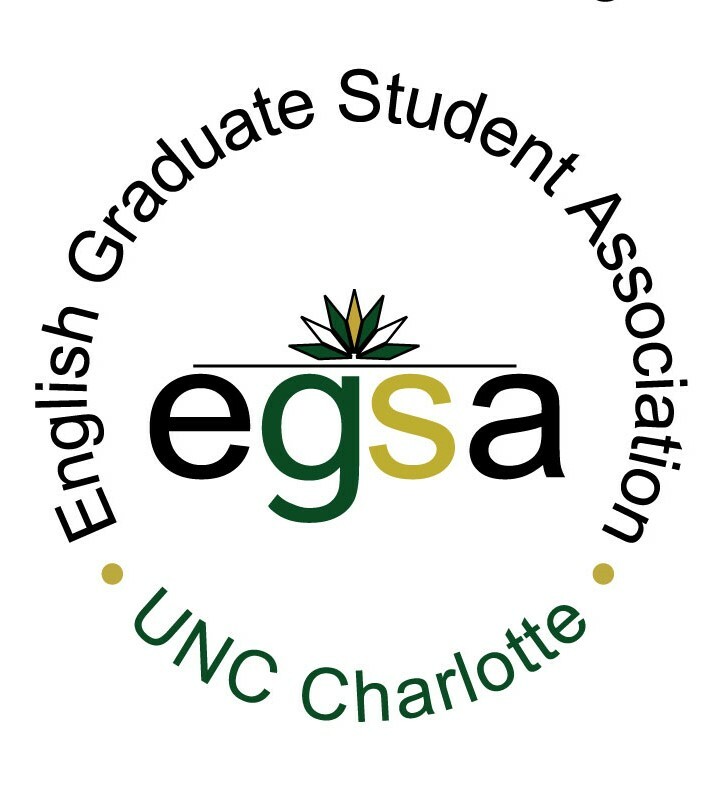 Quirky Quiz Question — The keynote speaker at this year’s EGSA conference is a professor from UNC Charlotte’s Global Studies Department. Our department also has another ongoing connection with the Global Studies Department. A member of our department regularly teaches a course that is cross listed with Global Studies. Who teaches this course? One of the books that Janaka examines in Freedom Narratives of African American Womenis a classic autobiography titled Incidents in the Life of a Slave Girl. This book was originally published under the pseudonym of Linda Brent. What is the real name of the author of this autobiography? Honoring the Foremothers of the Civil Rights Movement — Dr. Martin Luther King Jr. played a pivotal role in America’s civil rights movement beginning in 1955, when he led the Montgomery bus boycott, and continuing until his death in 1968. However, King was not a lone voice in the wilderness. He was part of a larger movement that had its origins in the nineteenth century. Today, as we honor King’s many contributions to the civil rights movement, I think that we should also honor the people who helped give birth to this movement, many of whom were African American women. In her book titled Freedom Narratives of African American Women: A Study of 19th Century Writings, Janaka Lewis examines the writings of several African American women who wrote about the meaning and importance of freedom. The writers that Janaka covers in her book include Harriet Jacobs, Ellen Craft, Charlotte Forten, Elizabeth Keckley, Frances Ellen Watkins Harper, Anna Julia Cooper, and Lucy Craft Laney. As Janaka points out in her book, these women writers actively participated the national discourse about the changing definitions of freedom and citizenship. In the process, these women helped set the stage for the rise of the civil rights movement of the mid-twentieth century. Bryn Chancellor recently published an essay titled “String, Too Short” in Brevity: A Concise Journal of Nonfiction. Juan Meneses recently introduced the Irish Ambassador to the United States, Daniel Mulhall, who gave a talk titled “A Virtuous Circle: Ireland, the E.U. and the U.S.” as part of the UNC Charlotte International Speakers Series. Jen Munroe‘s co-edited volume titled Ecological Approaches to Early Modern Texts: A Field Guide to Reading and Teaching was reviewed in the most recent volume of Sixteenth Century Journal. Lara Vetter‘s A Curious Peril: H.D.’s Late Modernist Prose was reviewed in the most recent volume of the Modern Language Review. Quirky Quiz Question — One of the books that Janaka examines in Freedom Narratives of African American Women is a classic autobiography titled Incidents in the Life of a Slave Girl. This book was originally published under the pseudonym of Linda Brent. What is the real name of the author of this autobiography? The CLGO’s “Celebration of Paddington Bear” brings to mind Paddington Bear’s origin story. According to this story, in what country was Paddington Bear living before he moved to London? The Inclusion of Science in English Courses-– Last semester I recorded an episode for the NPR program called “The Academic Minute” in which I argued that the humanities and the sciences should be seen as overlapping circles on a Venn diagram. I went on to discuss how professors in our English Department draw on insights from the sciences in their research. Since I had less than two minutes to make my points, I did not discuss how our faculty also incorporate the sciences in their teaching. However, many of our faculty members have a strong background in the sciences, and they draw on this background in their classes. I recently contacted a number of these faculty members and asked them for information on how they incorporate the sciences in their teaching. Their responses are listed below. As these six examples illustrate, our English Department has many connections to the STEM disciplines, and these connections are often reflected in the courses that we offer. At least in terms of our English Department, there really isn’t a conflict between the humanities and the STEM disciplines. For our department, this much ballyhooed conflict is just a false dichotomy. Bryn Chancellor last week was a Visiting Writer for Converse College’s low-residency MFA program in Spartanburg, SC. She gave a craft lecture titled “Later, and Later Still: Exploring the ‘Nth’ Perspective and the Retrospective ‘I’,” and a fiction reading from Sycamore. Katie Hogan recently delivered the following two papers at the Modern Language Association Conference in Chicago: “Narrating Queer Disaster” and “Compounded Exploitation: Race, Gender, and Contingency. Jen Munroe recently published a co-authored article titled “Becoming Visible: Recipes in the Making” in Early Modern Women Journal, 13(1) 2018: 132-142. She was also a respondent for the “Marlowe and Ecology” roundtable at the Modern Language Association Conference in Chicago. February 7 — Grace Ocasio will participate in a poetry reading at the Waccamaw Library on Pawleys Island, SC, from 3:00 to 4:00. Quirky Quiz Question — This Monday Missive spotlights six faculty members who incorporate science in their English courses, but these faculty members are by no means the only English faculty members who draw on the sciences in their teaching. For example, another faculty member is teaching a course this semester on the “Rhetoric of Science.” What is the name of the professor who is teaching this course? 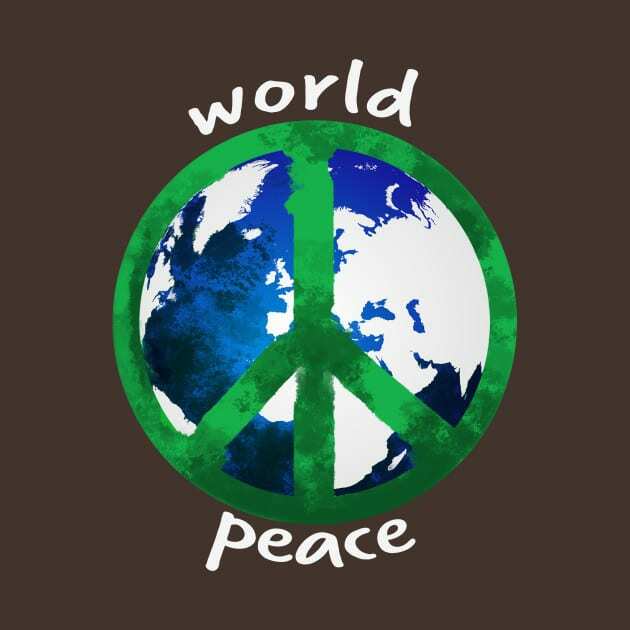 “Imagine” was originally released on a record label that was founded by the Beatles in 1968. What is the name of this record label? Dickens and the Creation of A Christmas Carol — While I was on the plane flying back from a conference at Oxford University earlier this month, I watched a film that was perfectly suited for the season. Titled The Man Who Invented Christmas, this 2017 film tells the story of how Charles Dickens came to write A Christmas Carol. The film stars Dan Stevens as Dickens and Christopher Plummer as Ebenezer Scrooge. In the film, Dickens moves among three overlapping worlds. Part of the film deals with his day-to-day life as an author, which involves interactions with family members, friends, and business associates. Another part of the film dramatizes his interior world, which is where he interacts with his fictional characters, especially Scrooge. A third part deals with his stressful childhood, which is at the root of an ongoing tension between Dickens and his father. The director, Bharat Nalluri, brings these three worlds together, culminating in the publication of A Christmas Carol on December 19, 1843. For me, this film brought up memories from my own childhood. My father was a great admirer of Dickens, and he often read Dickens’s books aloud to my brother, sister, and me during the evenings after we finished our homework. For many years, he read A Christmas Carol to us on Christmas Eve. While I was watching The Man Who Invented Christmas, I kept flashing back to my treasured memories of sitting on the couch in our living room, listening to the magic combination of Dickens’s words and my father’s voice. The film ends with Dickens’s reconciliation with his father, and this ending made me miss my father. As the credits started to roll, I silently thanked my lucky stars that Dickens wrote A Christmas Carol and that my Jewish father introduced to me to this classic story. I wish you all the best for the holiday season. Ralf Thiede just received a contract from Routledge for a book tentatively titled Language, Mind, and Power: Why We Need Linguistic Equality. Dan Boisvert is the co-author of this book. Quirky Quiz Question — The film The Man Who Invented Christmas opens in 1842 with Charles Dickens touring a foreign country. What country is he touring? As far as I know, this winter’s commencement marked the first time that our graduating students did “The Wave.” In sports circles, however, there is a great deal of debate about when “The Wave” made its first appearance. The first documented example of sports fans doing “The Wave” occurred on October 15, 1981, during a baseball playoff game between the Athletics and the Yankees. What is the name of the city where the Athletics play?